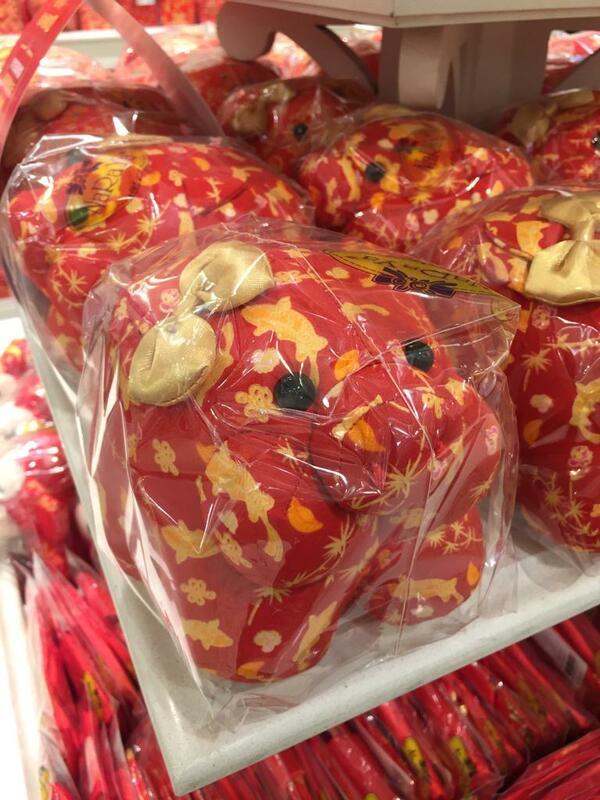 Year of the Pig Is Here! Literally. Gong Xi Fa Cai: happy year of the Pig 2019! Congratulations, the Year of the Pig has arrived! So, what is astrology actually saying? We will soon have some sort of ‘brotherhood of men’ year ahead of us; a year that could bring both peace and understanding between all the zodiac signs? We all wish that it could be possible. But we all have doubts that this is what is actually ahead of us! So, where does the world stand, as the most populous nation on earth – China (but also Vietnam and several other countries) – celebrates the New Year? To be honest, the world does not ‘stand’ at all – it lies in the gutter. It appears to be in coma. Washington, but also Paris, Berlin and other capitals of the Western mafia grouping which has bullied the world for decades and centuries, declared its unwavering support to a Venezuelan treasonous cadre – Juan Guaidó – a U.S.-‘educated’, handpicked ‘regime change dummy’. It is now almost certain that the West will not stop in front of anything; that it will try to destroy the Bolivarian Revolution and to occupy a country that is potentially so rich, that it alone could satisfy the entire global demand for oil, for at least 30 years. That’s not such a good beginning, is it? But there is much more that is happening, simultaneously; unsavory, disgusting stuff, which brings the West into face to face confrontation with the rest of humanity, endangering our entire planet, igniting wars and conflicts in all corners of the world. As the Year of the Pig begins, the U.S. is basically throwing into the trash can, its nuclear treaty with Russia. President Trump is flexing his muscle, capriciously and erratically antagonizing China, challenging the mighty Dragon to a duel which could, potentially, destroy the entire global economy. In the meantime, people are disappearing, getting arrested, getting muzzled: journalists, executives of successful non-Western companies, activists. Social media accounts of those individuals who are critical of the Western terror, are being suspended. People who dare to criticize the Western global regime have become unemployable, and often already ‘disappeared’ from the public gaze. Non-Western media outlets are being intimidated, sanctioned and constantly attacked, in both Europe and in North America. There are ‘official’ budgets allocated for that. Philosophy, arts and literature have been reduced to entertainment, or to ‘academic disciplines’, while the academia itself has already collapsed, becoming synonymous with the lowest sort of collaboration. These are dark ages, again. Terror reigns. Millions are dying, annually, mostly in the neo-colonies. The environment is being ruined. And the citizens in Western countries are too busy demanding more benefits for themselves, totally indifferent to crimes their countries are committing all over the world. Just two months ago, I reported from Syria, that Syrian people had won, after tremendous sacrifice. Now, however, things are getting ‘complicated’ again. The withdrawal of U.S. troops from Syrian territory is not something we can be sure of, in this 2019 Year of the Pig. The same goes for Afghanistan, where almost a two decades long NATO occupation has brought tremendous suffering and no benefits to the people. The once proud and freedom-loving nation now lies in rubble, with the lowest standard of living in Asia, and the shortest life expectancy. And once mighty Iraq? Just a skeleton. And as the Year of the Pig begins, Trump declared that the U.S. military forces will stay, in order to ‘observe’ Iran! Well, that was not the deal, the Iraqi president protested: “You were supposed to be here in order to fight terrorism, only!” But who listens, and who cares. Iran is on the hit list of the Western mafia regime. To use ‘neighboring houses’ for the expansion of destruction, in this case already ruined Iraq, is something that NATO countries have had no problems of doing, for decades. Listen to the Western mass media, and Russia is now ‘behind all evil political deeds’, as far as Europe and North America are concerned. Anti-Russian propaganda in the West and in its colonies (the latest was a comical outburst of a Western puppet, the Indonesian ‘President’ Jokowi), has reached a crescendo and were it not be so dangerous, it would make all rational human beings roll about on the floor laughing. The most depressing is that the Western public is totally complacent. With certain notable exceptions (Italy, Greece), there is no attempt to change the regime and to save the world from tragedy. The so-called “Yellow Vests” in France are obsessed with higher salaries and better benefits for the French citizens, with near zero interest in what their country – neo-imperialist France – is doing to Africa, Latin America, the Middle East, Russia and other parts of the world. In fact, there is hardly any soul-searching drive that can be detectable in the West, amongst the ‘common people’. They live, work, consume, enjoy the highest living standards on earth, and as long as they benefit, no crimes committed by their governments, corporations and individuals disturb their conscience. By now, it is crystal clear that the world cannot count on the Western public to end the global terror that is being spread from London, Washington, Paris, and their dependencies – such as Riyadh, Tel Aviv or Jakarta. The West will have to be confronted and stopped ‘from outside’. Will there be many confrontations and battles in the 2019 Year of the Pig? The most important for this year, is to convince the global public that the West (and its colonies) have lost absolutely all the right to even utter such definitions as “democracy”, “freedom” or “human rights”. For centuries and decades, these concepts have been brutally violated by all Western colonialist powers, and as a result, hundreds of millions of oppressed people have been dying, or living in appalling slums under fascist dictatorships. Today, the West is the greatest ideologically fundamentalist, as well as undemocratic force on earth. Great majority of people there accepted all ideological dogmas of ‘exceptionalism’, while conquered nations are also forced to believe in Western exceptionalism. The West tries to systematically overthrow all democratic, free and independent governments on earth. Then, it replaces them with servile and corrupt regimes that rob their own people and deliver loot to the doorsteps of the masters in New York, London and other ‘white’ Western capitals. The West is running the most brutal, racist, and morally defunct system in the history of the world. It is a fascist system, which is propelled by business, brainless consumption, moral emptiness, enslavement and shameless control as well as gray uniformity. 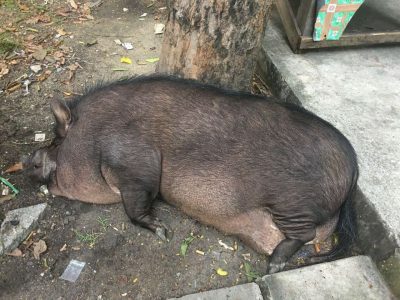 This 2019 Year of the Pig is not starting well. But Chinese astrological predictions are actually positive. Let us share their optimism and not give up! This should be the year designated to confront, with determination and courage, all the bad and filthy pigs of business, of colonialism and of imperialism. At least in theory, good pigs should fight bad pigs, and win the battle. Therefore, Happy New Year 2019, Happy Year of the Pig!